To provide care, support, advocacy and education to people impacted by serious illness and loss. 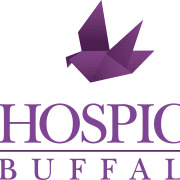 Hospice Buffalo cares for individuals suffering from serious illness, as well as their families and caregivers. We’re here to provide an integrative, holistic (physical, emotional, social, and spiritual) approach to care that focuses on the whole person rather than on individual symptoms. We are here through a continuum of care, spanning the course of the disease through bereavement. Our knowledgeable, compassionate staff is here to help patients make choices about their care, to support those who are grieving, and to educate the professional and lay communities on end-of-life issues. We’re one of the largest non-profit hospice and palliative (comfort) care organizations in the nation, caring for nearly 1000 patients daily throughout Erie County, regardless of age, race, setting, diagnosis, and ability to pay. At Hospice Buffalo, we’re here through any long-term or life-limiting illness, providing care for them, and comfort for you. Would you recommend CENTER FOR HOSPICE AND PALLIATIVE CARE INC?